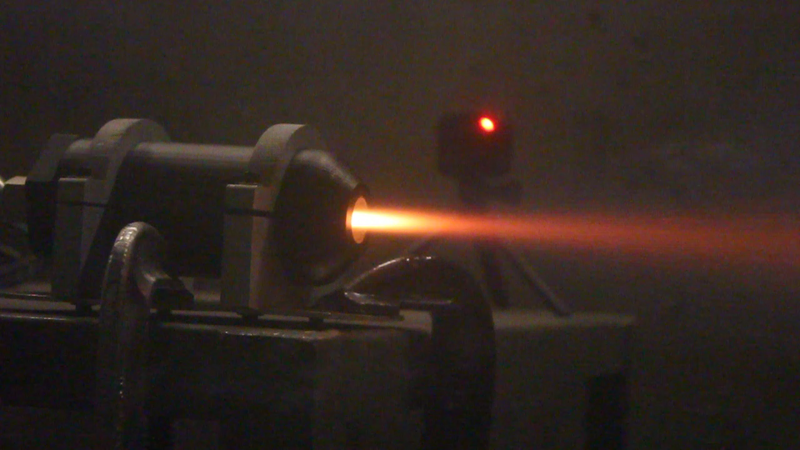 At 11:50 A.M. on April 21 MIT Rocket Team successfully fired a rocket motor printed from plastic! We think this is the first time anyone has done so. Matt V, Kelly M, and Charlie G. have spent the past two weeks working with our generous supporters at Markforged to design and print the pieces necessary to pull off this historic accomplishment. The case was tested twice. The first test worked well. We used a less energetic propellant (easier on the motor case, less heat and lower pressure) to start with. The rocket motor achieved supersonic flow and produced thrust. The case survived the test in decent shape. A few millimeters of plastic eroded from the throat. Although the motor case was only designed for a single use, we decided to see what would happen if we fired it again. In the second test, we used a more energetic propellant. The throat was already worn from the first test and it quickly eroded and became too large to maintain supersonic flow. The rocket’s combustion became unstable, the flow through the nozzle was subsonic, and little thrust was produced. 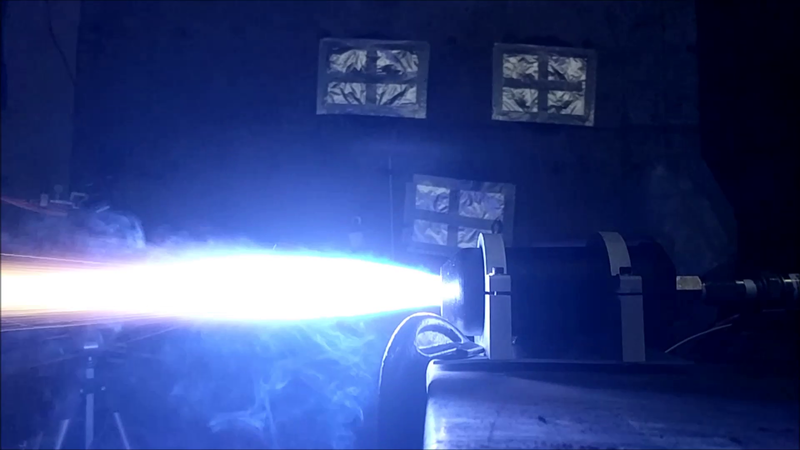 While this unstable combustion is not useful for propulsion, it looks really cool in 240 fps slow motion! The erosion of the throat is readily apparent in the falling pressure. Future designs will account for this by varying the propellant regression rate to match the nozzle erosion. 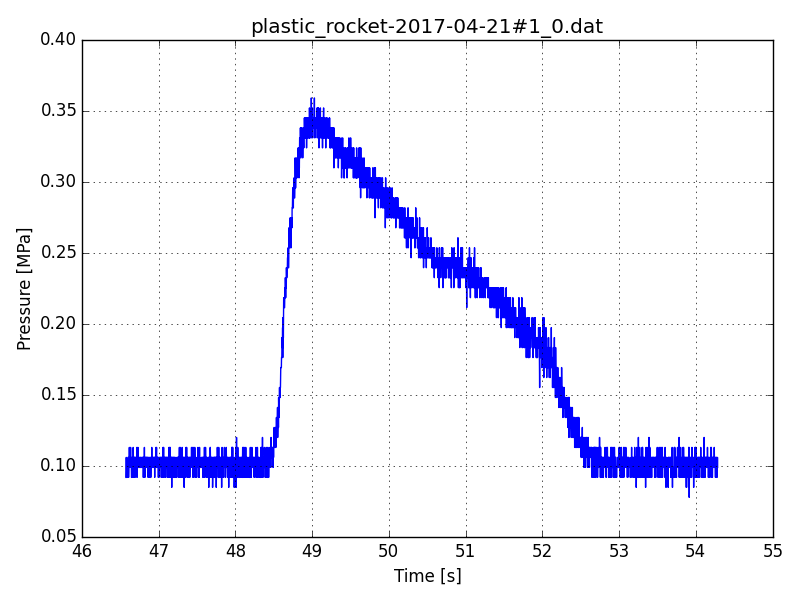 Printing rocket motors from plastic is a unique accomplishment. Several groups, including SpaceX and NASA, print rocket engines from metal. But metal printers are expensive, costing north of six figures. Our plastic motor is produced on an innovative, lower-cost plastic printer, which has a price accessible to hobbyists and small teams. We also designed our case to work with modern composite propellants. The team has already begun follow up work to explore larger motors, more resilient motors, and potentially even flight hardware!